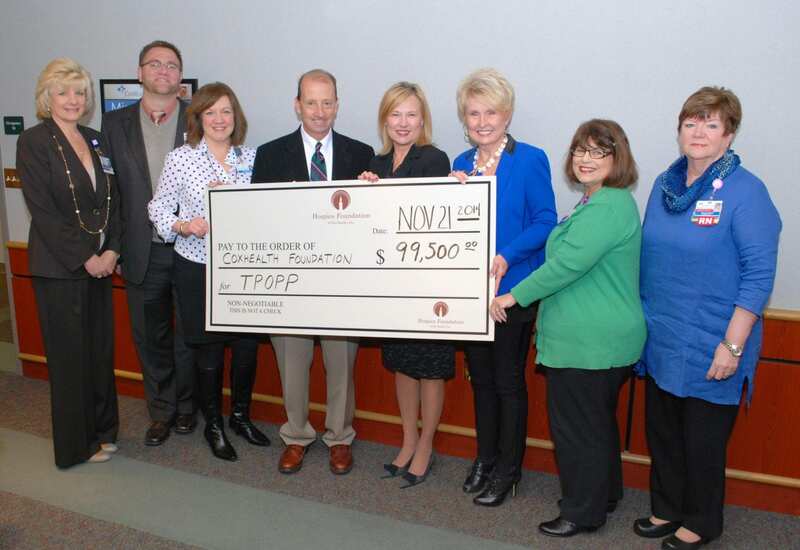 Hospice Foundation of the Ozarks recently awarded CoxHealth Foundation a $99,500 grant that will help health care providers implement Transportable Physician Orders for Patient Preferences (TPOPP). TPOPP allows patients with serious illnesses to define their end-of-life care wishes and have those wishes written as a physician’s order that travels with the patient across the continuum of care. As a first step in the TPOPP process, the grant will be used to educate health care providers and partnering organizations throughout the community about the transportable orders and the benefits they offer. In the long term, TPOPP will improve coordination among providers and give patients and their families a clear voice in their care.